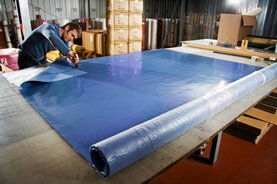 ‘Vac-Sil’ is currently available in sheets 2.8 metres wide with plans for even larger sheets in the next 2 years. when forming complex and sharp definitions. Silicone has good resistance to weathering; ozone; hot water; low pressure steam;alcohols; diethylene glycol; etc. See Spec. 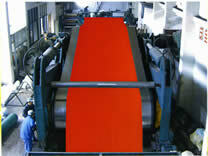 for full material physical properties.